Class 0 Cheapest price Rubber Foam sheet roll with nice quality foam sheet – Huamei Glass wool Rubber foam Manufacturers, Huamei Energy-saving Technology Group Co., LTD.
Huamei Class Rubber Foam is a flexible and light weight elastomeric nitrile rubber material designed for thermal insulation. 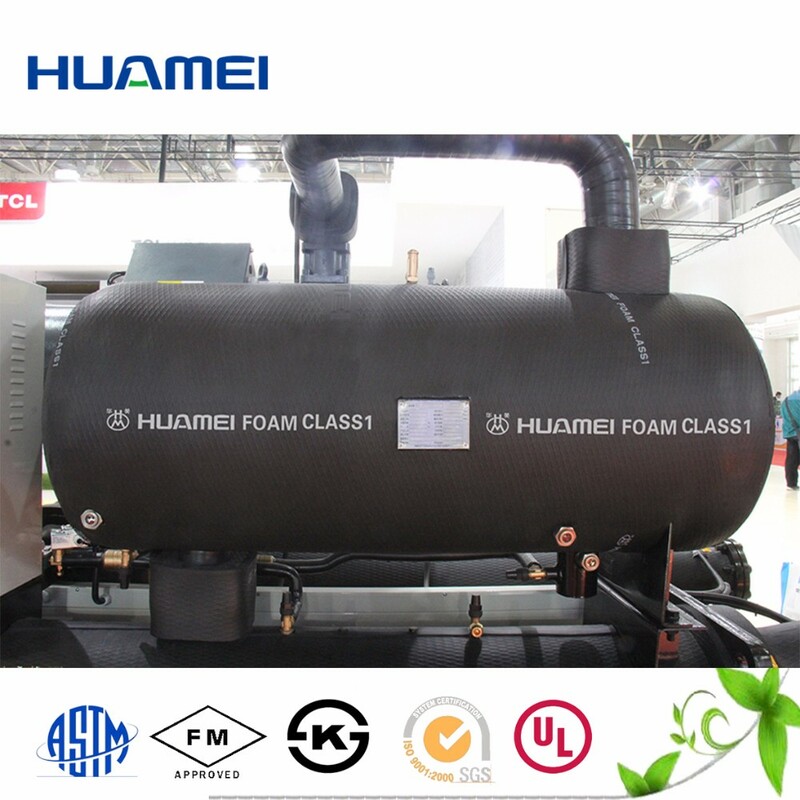 Huamei Class1 insulation is generally black in color, other colors are available upon request. The product comes in tubing, roll and sheet form .The extruded flexible tubing are specially designed to fit the standard diameters of copper, steel and PVC piping. Sheets are available in standards precut sizes or in rolls. 1.The above specifications are those in common use ;special specifications are available at customer’s request . 2. Rubber foam sheet and tube are normally in black .Other colors are available at customer’s request . 3. 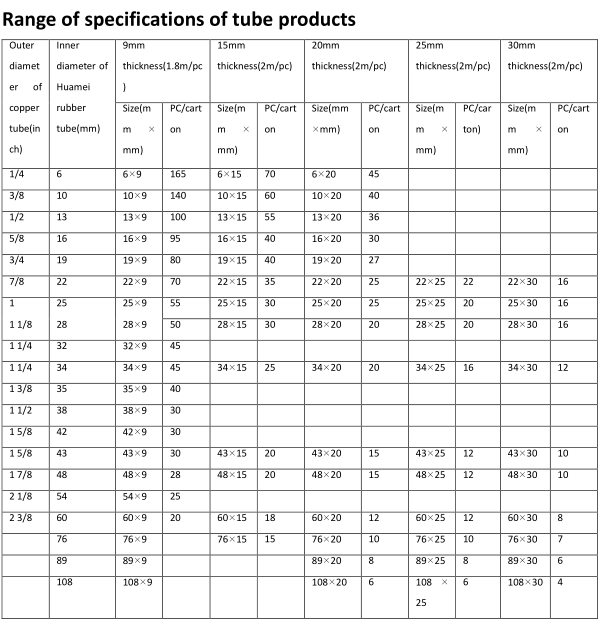 It is recommended to use sheet where outer diameter of tube exceeds 89mm . 4. Multilayer packing is recommended where the thickness of heat insulation materials needs to be greater than 25mm . 5. The width of sheet are available at customer’s request for a scope of 1m to 2m . The most suitable size for duct isolation; wıth sheet width 100cm and 120cm,and production in 7 different thickness intervals. Helps to absorb vibrations that occur in the channel through its elastic structure. Reduces the use of duct tape at round and square section channels and reduce scrap rates. Reduces th scrap rate 2-3%. Operating temperature is between -40 / + 120 °C. Since thermal conductivity coefficient of the elastomeric material is low it reduces the heat transfer significantly (λ ≤ 0.034 W / m•K). 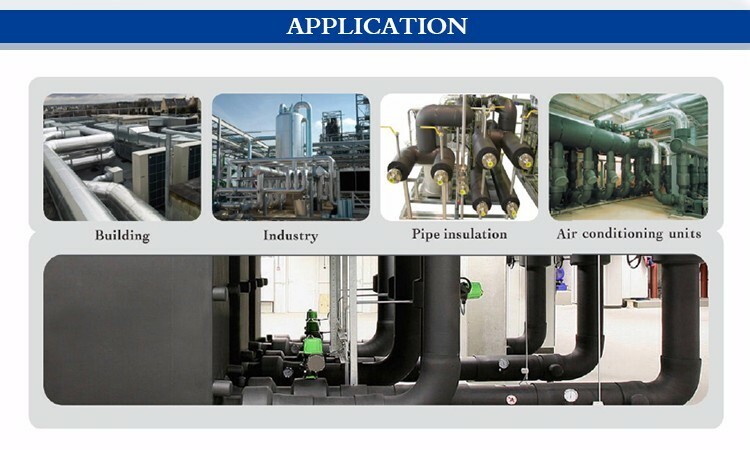 Huamei Energy-saving Technology Group Co.,LTD is a professional manufacturer since 1990, production and sales of rubber foam insulation ,glass wool, rock wool .Huamei products are widely used in Beijing Olympic National Stadium Bird’s Nest, Shanghai World Expo, and other famous Projects, and to be exported to Europe, South America，Australia, Southeast Asia，Africa ,and other countries. * 24 hours prompt reply by email or telephone or messenger.